WAM uses music and media to attract and connect 1,200+ underserved Bay Area girls (ages 11-18) every year to free STEM/creative technology training, mentoring, and career/educational counseling. WAM has cracked the code on a hands-on, project-based curriculum that attracts and retains girls in STEM studies, training the largest number of girls in STEM studies in Northern California year-round. WAM uses an incredible professional recording studio environment, former home to projects from Alanis Morrissette, Timbaland, and Radiohead, as a giant “carrot” that provides attractive access points to acoustics, physics, electronics, computer science, and math and ties them to music, media, journalism and creative technology – topics that spark and hold girls’ interest. WAM has created the only hands-on, after-school curriculum specifically tailored for girls and based on both the California Department of Education and National Core Media Arts Standards. The program provides girls with tuition-free training and access to musical instruments, technology, and young women mentors. GOTM partners with 20+ schools/organizations throughout the Bay Area to provide after-school programming year round. 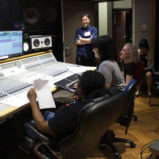 WAM provides hands-on training in audio engineering, the recording arts and creative technology to over 350 women every year in a world-class recording studio with award-winning women instructors. WAM graduates have been placed in positions at Dolby Labs, Pixar, Electronic Arts, Google, Sennheiser, NPR, Pandora, SFJazz, Sterne Grove Festival, Animal Planet, Comedy Central, Rickshaw Stop, El Rio and many other professional venues as well as securing credits on recordings by Mary J. Blige/Hillary Clinton Interview, Kronos Quartet, St. Lawrence String Quartet, Angelique Kidjo (Grammy win), Soundtrack to the film “Dirty Wars” (Academy Award nomination), Pamela Z, Sean Dorsey Dance. 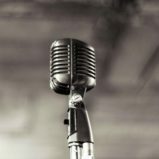 SoundChannel.org brings the award-winning audio curriculum of Women’s Audio Mission online – available anytime, anywhere, 24/7. SoundChannel.org is an ever growing library of animated and interactive e-text books. SoundChannel’s training materials are being adopted by audio education institutions all over the country in lieu of textbooks and have been used by students of all genders from all over the world. Over 6,900 students in 131 countries use SoundChannel.org. WAM is THE most trusted educational resource to students, educators, and future professionals. 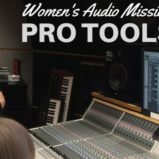 Women’s Audio Mission selects interns 2-3 times per year. Interns are mentors to the girls in our Girls on the Mic program and assist on recording sessions in our recording studio as well the live sound for our events. It is an application process and we choose 8-12 interns per year out of a pool of applicants from all over the world.